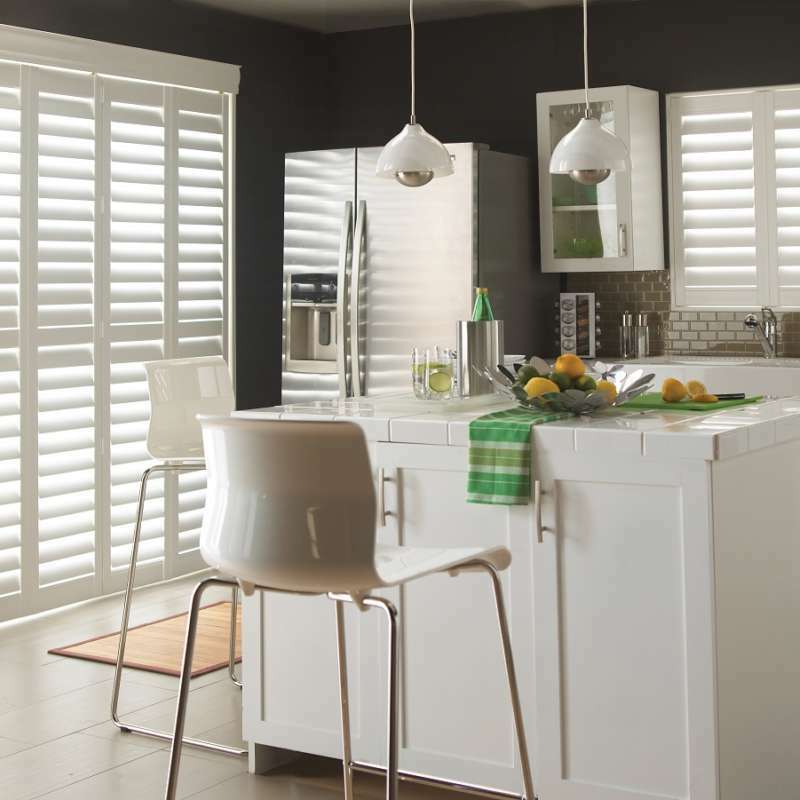 ﻿ Sliding Window Shutters Winchesters &… | The Great Shutter Co. 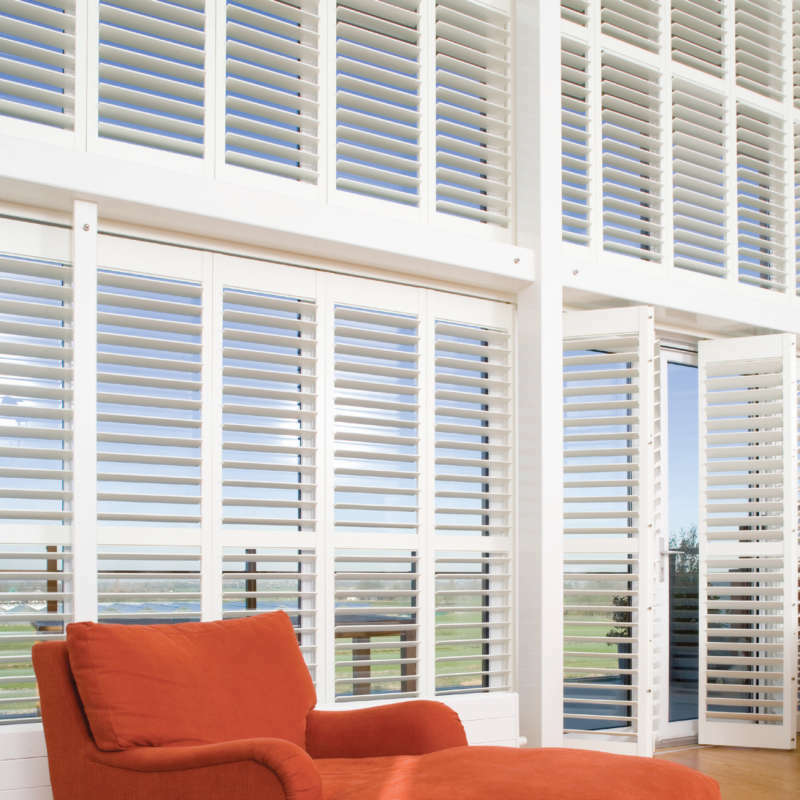 The versatility of shutters is amazing and this is before one explores what tracked plantation shutters have to offer. The popularity of glass bifold or sliding doors is on the increase but quite often this does lead to a couple of issues namely privacy and heat build-up due to the amount of glass involved. 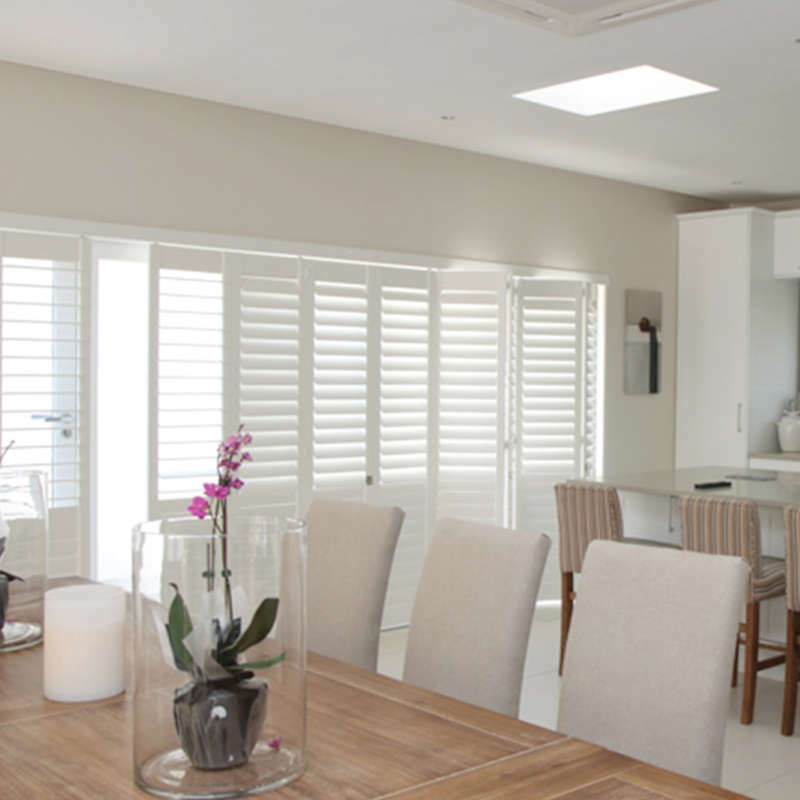 Why are tracked shutters a good solution for bifold or sliding doors? 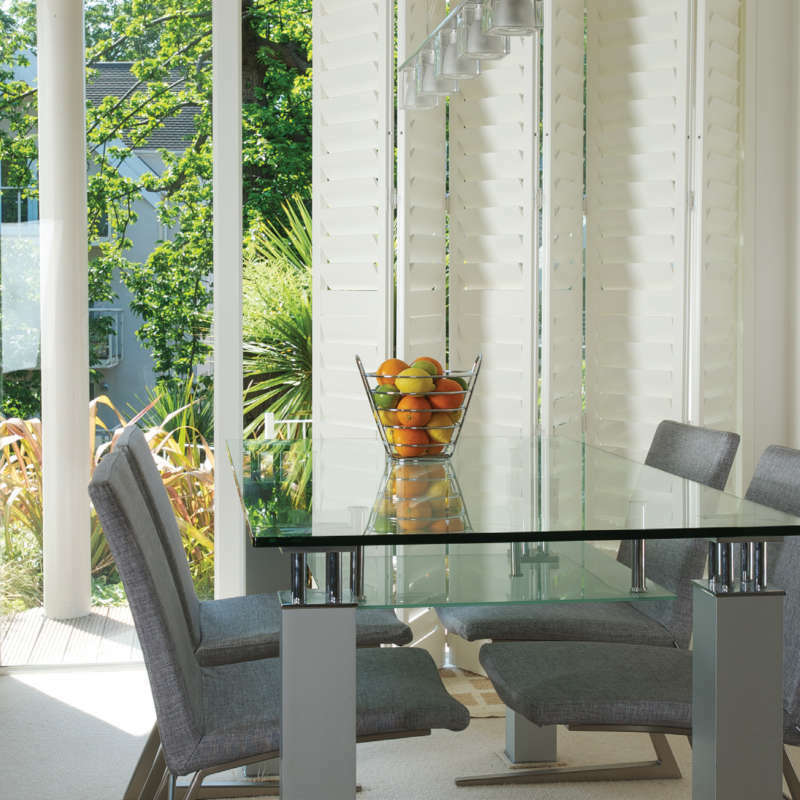 A tracked shutter run in front of the bifold or sliding doors allows you to control the amount of sunshine that enters the room and the amount of privacy you have. The fact that the shutters are tracked means that when you want them out of the way you simply slide them to the side as you would with the doors themselves. Normally if you have bifold doors (concertina) we would fold the tracked shutters in the same direction of as you would fold the doors so that you have the door and shutter stack at the same end of the room. The glass doors bifolding outside the room and the shutters bifolding inside the room. Even if you have bypass sliding doors (doors that slide past each other) you may choose to have a bifold shutter run rather than a bypass shutter run. A home consultation is best to work out what the possible options are. Are tracked shutters good for room dividers? 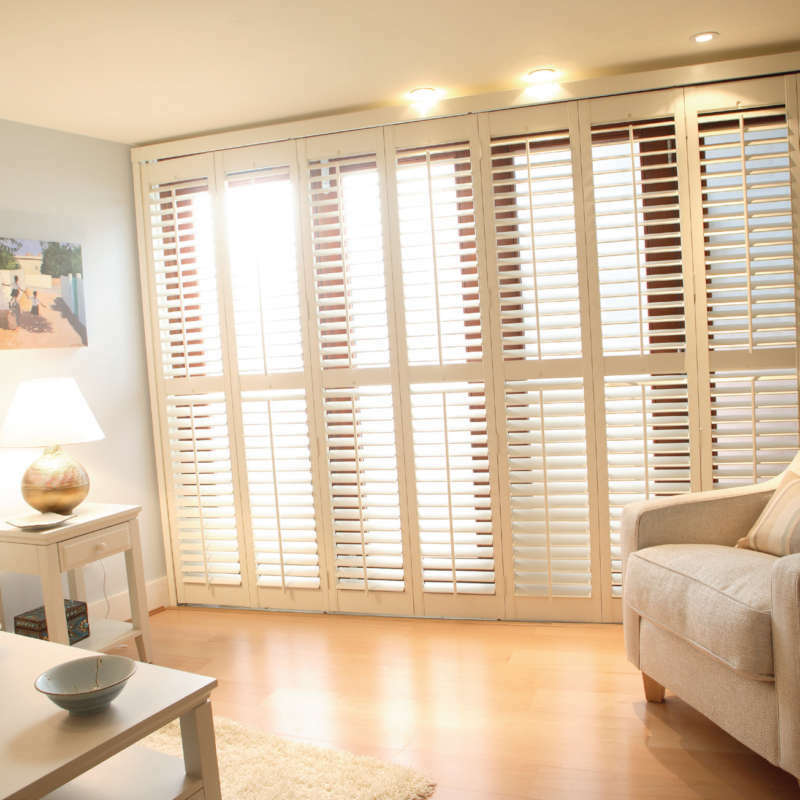 Room divider shutters are a great solution. Many of us have knocked through from dining room through to living room but, as times and our lives styles change, we may actually want to be able to partition the rooms when needed. In this case bifold doors especially provide a great solution. We will build the surrounding frame so that it follows the space left by the old wall ensuring you have a quality look to the finish. You can concertina all your shutters to the left or right or, if you wish, split them so that they fold away to either side. We even have what is called a free floating shutter option. In this case the shutters panels are hinged in multiples of two, but are not fixed to the shutter frame itself as standard bifolds are. This means that the shutters can slide along the track and be stacked at which ever end you want. You can even leave some of the shutter panels closed flat with just a pair folded away creating a doorway. A home consultation will allows us to help you visualise this more effectively. What else can the tracked shutters be used for? 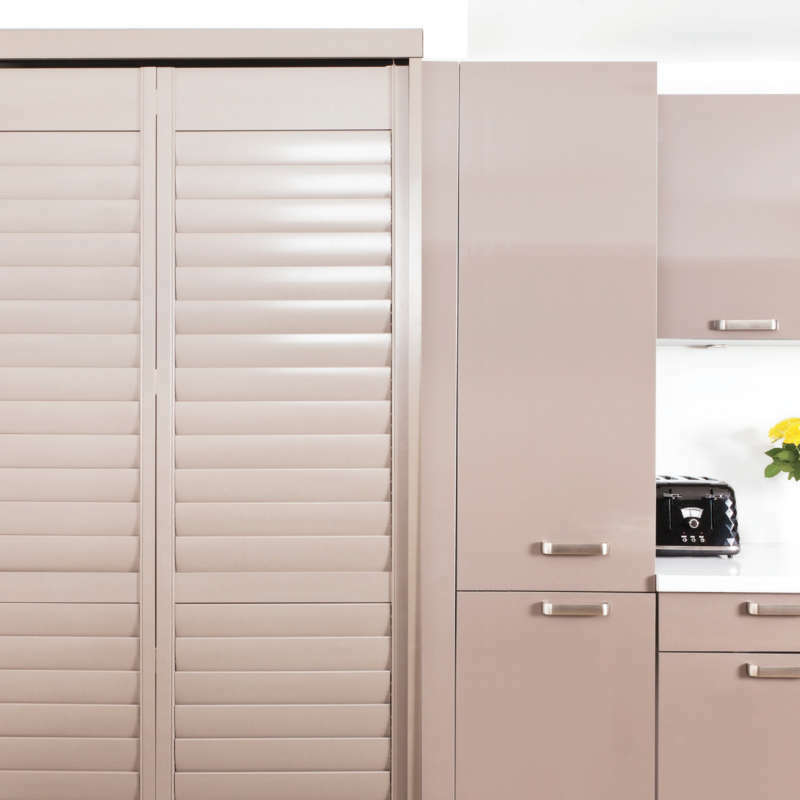 Tracked shutters are very good at being used for wardrobe doors, for example, and you should visit our separate section on this to find out more. In this case bypass shutters are more often the consumer choice as they do not protrude into the bedroom when opened.